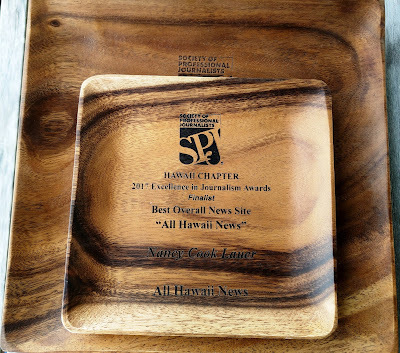 All Hawaii News: Ten years, ten awards. All Hawaii News will be 10 years old this year. 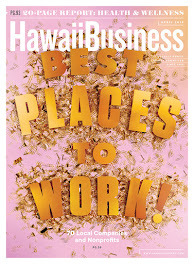 That's 2,517 posts featuring a digest of all the state and local government and political news from media sources all around the Hawaiian Islands. There's no bot to do this. Every post is hand-curated in a process that takes two hours or more each day. 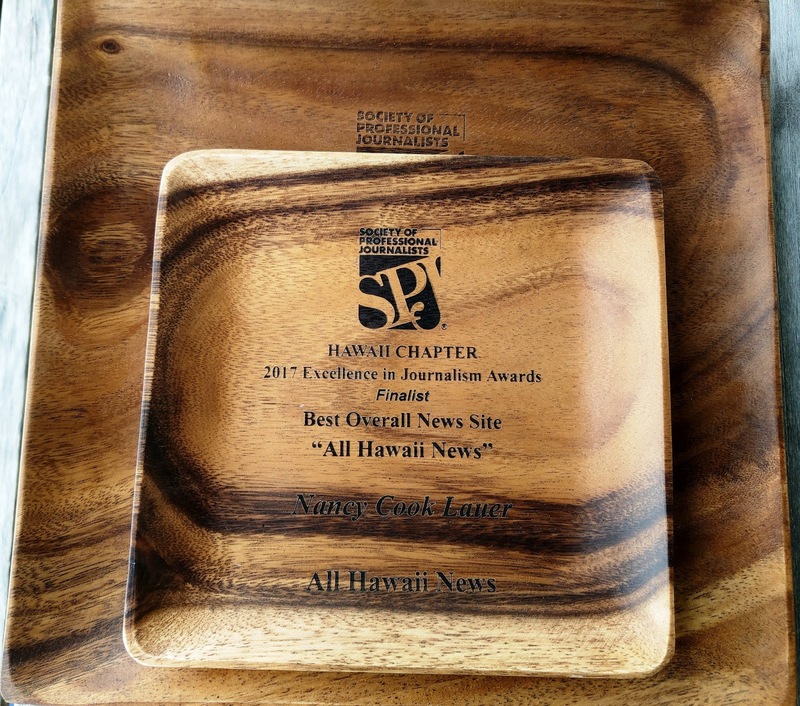 It's a labor of love, and I'm honored to be recognized by the Society of Professional Journalists for keeping the state informed about the top news of the day. But a little monetary recognition never hurts, either. 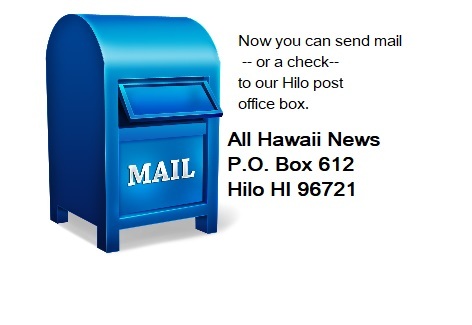 I've moved All Hawaii News' "keep the news coming" donate button near the top right of the homepage. 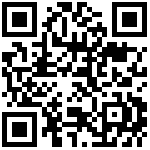 Just click and donate using PayPal or a major credit card. You can even click a button to send an automatic monthly payment. Send an email to nclauer@gmail.com to get your name and/or link on the sponsor list.